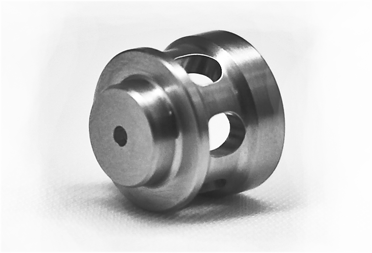 About Us | Barleta Precision Manufacturing, Inc.
is a high-quality producer of customized metal and plastic parts using the latest CNC technology and applying global aerospace standards in its machining process. This discipline is applied to all customer projects regardless of industry. With at least 15 years experience in exporting to the US aerospace market, BPMI is one of the first Filipino-owned companies committed to aerospace parts manufacturing in the Philippines. BPMI has a full-range of CNC machines to meet the exact specifications of its clients. We also offer in-house prototyping and reverse-engineering to help our clients in the final execution of their designs. BPMI has partnered with NADCAP certified chemical processing suppliers to offer our clients a complete fabrication service of aerospace parts. Our system employs lean manufacturing processes to shorten lead-times and support on-time delivery. The company is AS9003 compliant to ensure standard and consistent quality management practices compliant with the aerospace industry. Barleta has its roots in C.C. Barleta Machine Service Center, Inc., a company which began as a humble machine shop in the late 60’s focusing mainly on automotive-engine-rebuilding services and small-batch metal fabrication projects. During the late 90’s, the company started investing in CNC machines which opened opportunities to serve the demand for the fabrication of customized precision metal parts. It was also during these early stages of the company’s upgrade to CNC technology in the 90’s that C.C. Barleta Machine Service Center, Inc. was given the opportunity to offer its machining services to an aerospace OEM company in the USA. The combination of an innovative machining process formulated by a management team dedicated to providing the most reliable of service and delivery times, paved the road for C.C. Barleta to become one of the first Filipino-owned companies committed to aerospace manufacturing for export. In 2014, with the company’s continued growth in the manufacturing of customized precision metal parts in various industries from both local and international markets, Barleta Precision Manufacturing, Inc. was formed to fully serve the company’s export market while operating in a world-class free-trade zone facility.